Video: Mezzogiorno: Justin Catanoso & "My Cousin the Saint"
Justin Catanoso is a Pulitzer Prize-nominated business journalist, a university lecturer, and the author of the unique and compelling book My Cousin the Saint: A Search for Faith, Family, and Miracles (William Morrow). Since 1998, he has served as the executive editor of The Triad Business Journal, a weekly based in the Triad region of North Carolina. In 1992, his pioneering investigative reporting into fraud in the tobacco industry earned a Pulitzer Prize nomination and a Science-in-Society Award from the National Association of Science Writers. His work has also appeared in the New York Times, Ladies’ Home Journal, Catholic Digest, Washington Monthly, Denver Post, Philadelphia Inquirer, and on National Public Radio. A prolific public speaker and lecturer, he covers topics ranging from manufacutring-based economies, to Italian immigration, to saint-making (canonization) and what it means to have a saint in the family. Part memoir, part biography, part chronicle of renewed faith, My Cousin the Saint charts the parallel history of two relatives – Catanoso’s grandfather, Carmelo Catanoso, and his sainted cousin, Padre Gaetano Catanoso (Padre Gaetano Catanoso died in 1957 and was canonized in 2005). While Carmelo leaves his homeland to pursue New World prosperity, Gaetano stays behind to relieve Old World misery. Catanoso reunites the two halves of a sundered family by both exploring the life of the saint in southern Italy and uncovering the untold story of his grandfather’s family raised in New Jersey between two World Wars. Catanoso confronts his own tenuous spiritual moorings in the process. After meeting with Vatican officials in Rome, he is astonished by the complexity of canonization. After hearing one miracle story after another in Calabria, he struggles with the line between the mystical and the divine. After seeing his brother fall ill with terminal cancer, he questions the value of prayer. 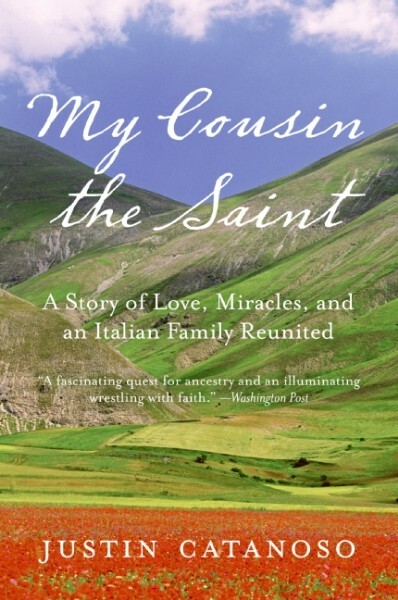 And after reveling in the charm and generosity of his newfound Italian relatives, he comes to learn what it means to have a saint in the family. Issues of history, culture and spirituality resonate throughout the story, as well as in Catanoso’s engaging discussions of the book. Nearly 70 million Americans identify as Catholics, and Catanoso’s chronicle of his lapsed faith, the struggle to reclaim it, and his riveting exploration of miracles and canonization will resonate with this wide audience. Catanoso is a native of North Wildwood, N.J. He has a BA in journalism from Pennsylvania State University and an MA in liberal studies from Wake Forest University. 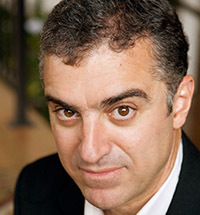 Since 1993, he has been a visiting lecturer in journalism at Wake Forest, teaching reporting, writing, and news editing. He is married to musician and songwriter Laurelyn Dossett, and they live in Greensboro, N.C., with their three daughters.